Hi, I am writing in regards to the property at *** E 99 Pr Se, Benton City, WA 99320. Please send me more information or contact me about this listing. This property is up for Auction, either as a foreclosure or as a standard re-sale. The sale will go to the highest bidder. You may be able to purchase this home at a very low price, especially if very few bidders show up. Auctions can be risky, but can be very rewarding if you know how to bid. Great investment opportunity This property will be sold via a live foreclosure auction. The asset will be sold As Is and the occupancy status varies. The buyer assumes all responsibility for property condition and occupancy. Auction to be conducted by a third party. Please contact Xome for more information. 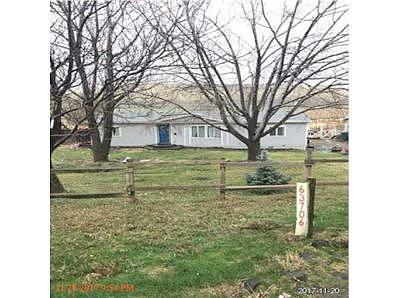 Value Based Bid: reserve is expected to be at or below the current market value as determined by seller / This listing provided by Xome, 1-800-758-8052This foreclosure auction home is a single family home located in Benton City. It offers 217800 sq. ft. in size, 3 beds and 2 baths. Review its detailed information and determine if this Benton City foreclosure auction has the qualities you are looking for.